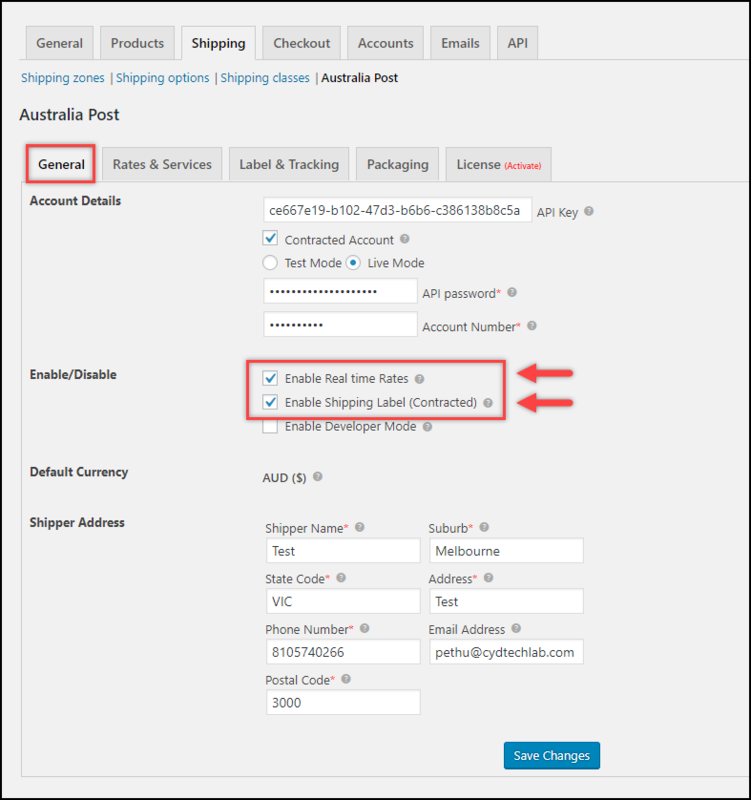 Dashboard > Plugins > Installed Plugins > ELEX WooCommerce Australia Post Shipping With Tracking > Settings. 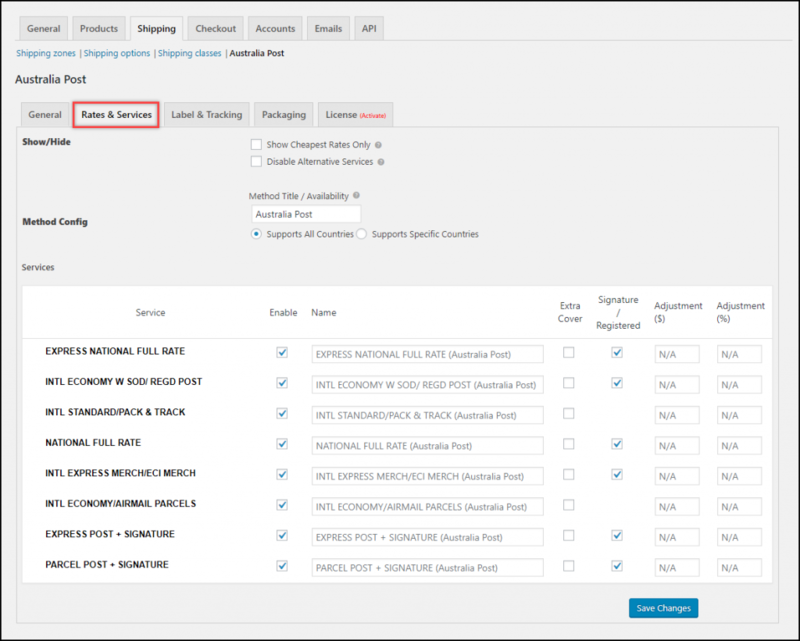 To test accessing of Australia Post real-time rates and shipping label generation, enable respective settings in the General tab of the plugin settings, as shown in the screenshot on the left. For detailed information on other generic settings, read the General Settings section of the setting up documentation. Configure Australia Post shipping services in the Rates & Services tab. You can enable or disable the desired service, set up price adjustments, and other relevant settings. 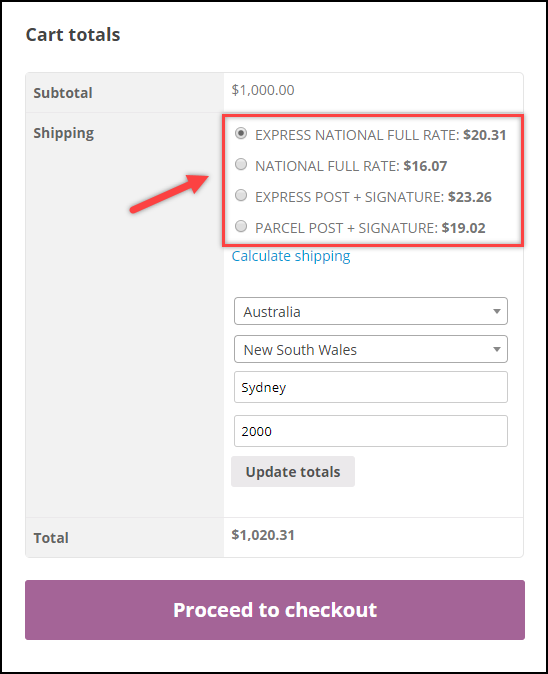 Update the shipping address to a domestic Australian address on the shipping calculator to access the Australia Post domestic real-time rates and services. In the same way, update the shipping address with an international address to access Australia Post International real-time rates and services. In the individual order page, scroll down to find Australia Post meta-box. 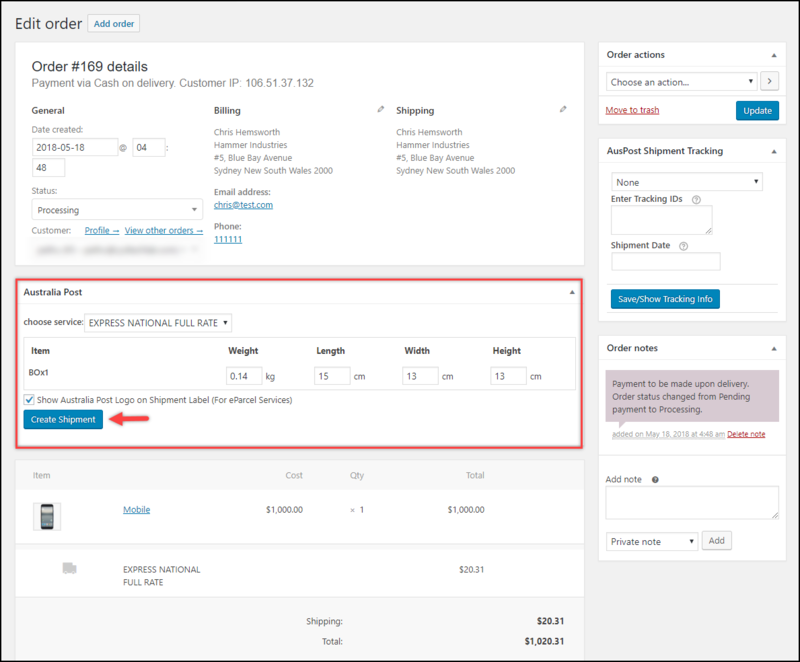 You can configure the given settings if you want or click on Create Shipment button to proceed further, as shown in the screenshot on the right. For more details, read how to print labels for Contracted accounts in the setting up documentation. Once the shipment is created successfully, you will receive a confirmation message on top of the order page with shipping details and shipment tracking ID. Next, click on Generate Label button to proceed with label generation, as shown in the screenshot on the left. In the next screen, click on Print Label button to proceed with printing the shipping label. A sample domestic shipping label is shown on the right. Similarly, if you wish to create order manifest, click on Create Order button and follow the same procedure. To know more detailed information, read how to generate Order Summary Report/Manifest in the setting up documentation. 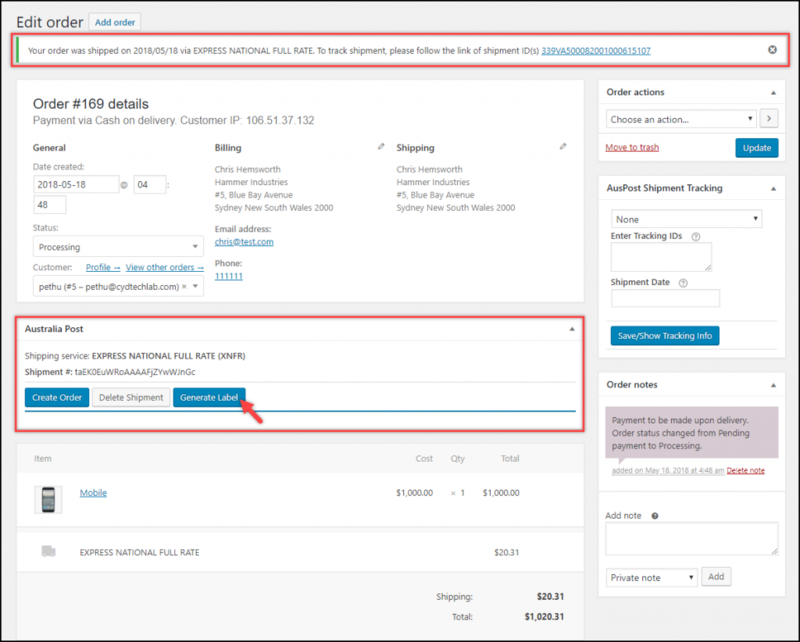 You can create shipments and generate labels automatically using the auto-generate & email label add-on. The add-on will also allow you to send an email notification to the shop owner and customers. Once the add-on is installed, you can find a new tab in the parent plugin settings as “Auto Label Generate Add-On”. Watch the video to know how to auto-generate and email Australia Post labels.